GORGEOUS INTERIOR! You'll fall in love with the beauty and performance of this truck! Paccar MX engine, Fuller 10 speed manual transmission, full fairings, aluminum wheels, sleek body! 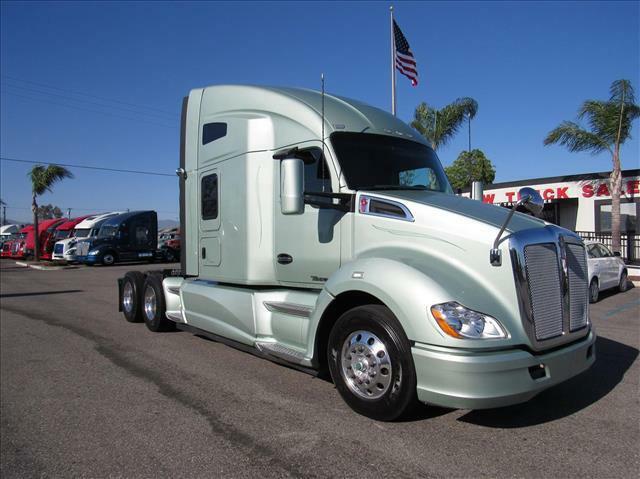 Dramatic interior with plush seats, chrome and wood grain dash, diamond tuck, stand-up sleeper that opens up easily to the front cab, desk area and more!